We invite you to join us and book your next event at Platte Creek Lodge. Welcome to South Dakota's Platte Creek Lodge. Come and enjoy our spacious lodge with your friends and or family. Just 1 and 1/2 miles west of downtown Platte, and minutes from the area golf course, and the beautiful Missouri river, Platte Creek Lodge's ideal location will offer you a wonderful base to enjoy the areas attractions such as fishing, hunting, golfing, boating on Lake Francis Case, or shopping in one of the many wonderful shops in Platte. Platte Creek Lodge has high speed wireless internet access available for it's guests who need to stay in touch for business or just for pleasure. Enjoy our Direct TV satellite connection from any 1 of the 6 television sets in the lodge. 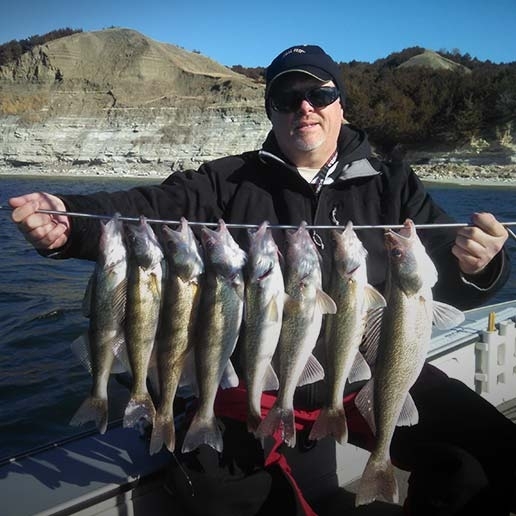 There is no question that the Missouri River is a great walleye fishery. This river has a lot to offer from deep trees, awesome mudflats, gravel pits and sunken islands throughout the entire system. Platte Creek Walleye Guide Service feels there is no better area between Chamberlain and Platte, South Dakota. 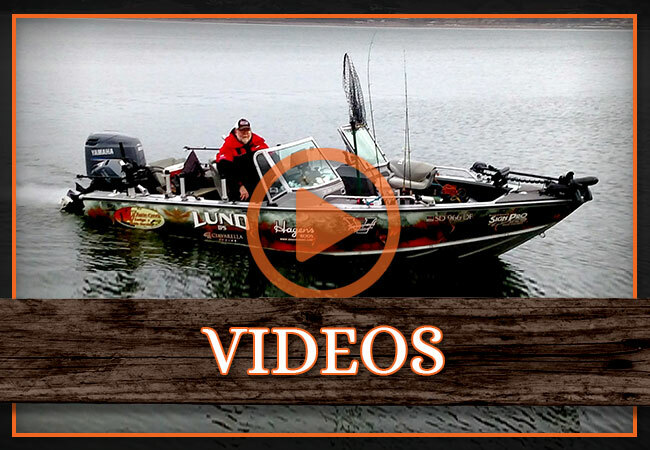 The numbers of 1 to 3 pound walleyes caught here each year are staggering. We also have the possibility to land that trophy 8-9 pounder we all dream about. 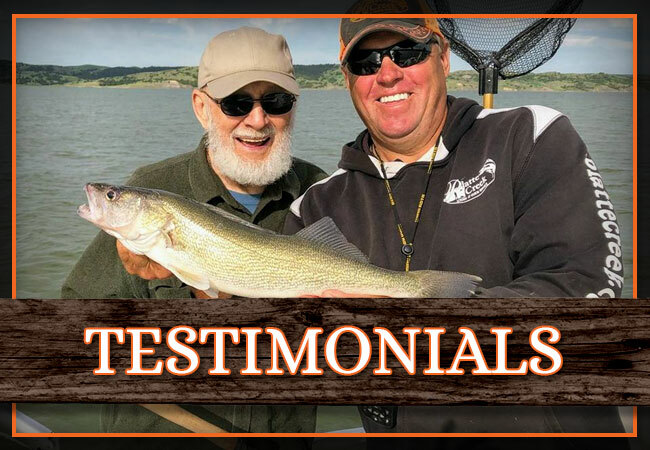 So come experience the excitement of catching walleye on the old Missouri River. Not only do we catch the walleye, but we specialize in teaching the skill that you will remember a lifetime. Located only 12 miles from the Missouri River we have great access to walleye and small mouth bass fishing our South Dakota Fishing guide will put you on the spot for some excellent fishing! 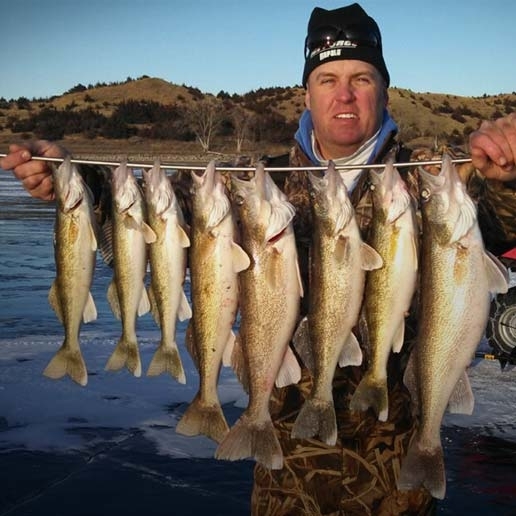 Platte Creek Lodge and Walleye guide Service offers ice fishing packages. We are on the ice almost daily and feel we are on the fish. We have a fully guided package that would include all things needed to ice fish comfortable and the tools to do so! Platte Creek Lodge enjoys South Dakota's highest pheasant density in the State. With over 4,000 acres of private hunting ground, you will not be disappointed with your hunting experience. 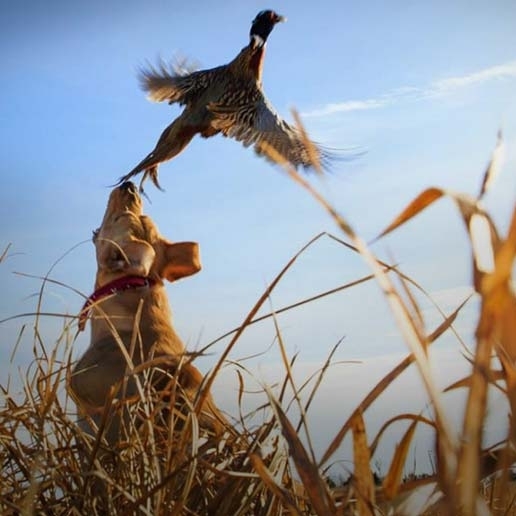 Located in Charles Mix County, one of the top in the nation for pheasant population, is a great start to any hunt. If you can get to the lodge, we can get you on a pheasant. Through the use of our Kawasaki mule, allows us to move about in the fields with the dogs. The mule is all we need for a great hunt through the native grasses, food plots, or tree belts.